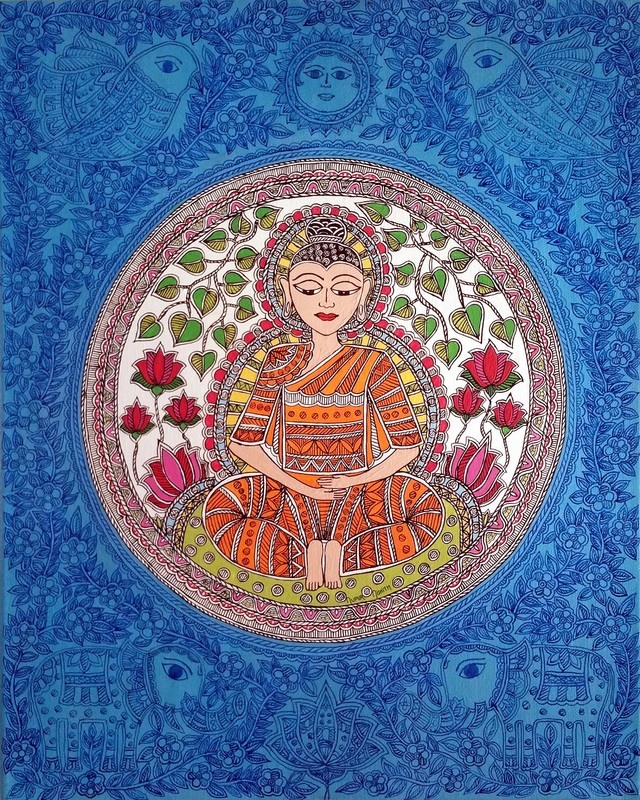 Diwali Fest NJ 2018 pleased to welcome Nupur Nishith, a skilled and talented artist in the ancient Madhubani style of paintings from a region called Mithila in Bihar, located in the eastern plains of the Ganges river in India. 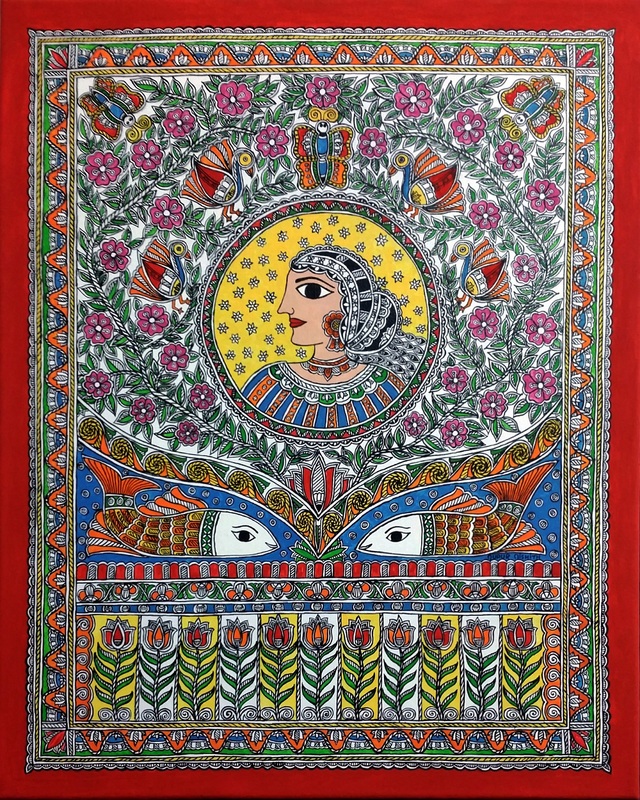 Mithila paintings are two dimensional and traditionally done on freshly plastered mud walls and floors of huts with a paste of powdered rice and natural dyes. Nupur Nishith, a native of the Mithila region learnt the art form at a very young age from her mother. As she grew up, she explored various other media as paper, cloth, wood, ceramic, terracotta, glass, as well as digital mediums of expression. Nupur has evolved a unique style which blends this traditional and ancient folk art with modern contemporary themes and tools for a global appeal. Nupur’s paintings have been awarded and exhibited at various galleries, shows and publications in India and USA. Her paintings are also in the store at Asian Art Museum, San Francisco, USA as well in many private collections around the world. Her hand painted Piano for Sing for Hope was displayed at Central Park, NYC during celebrations of 50 Years of Public Art in NYC Parks in 2017 and featured on the popular CBS New York Sunday Morning Show and is on display at Asian Art Museum, San Francisco, USA. 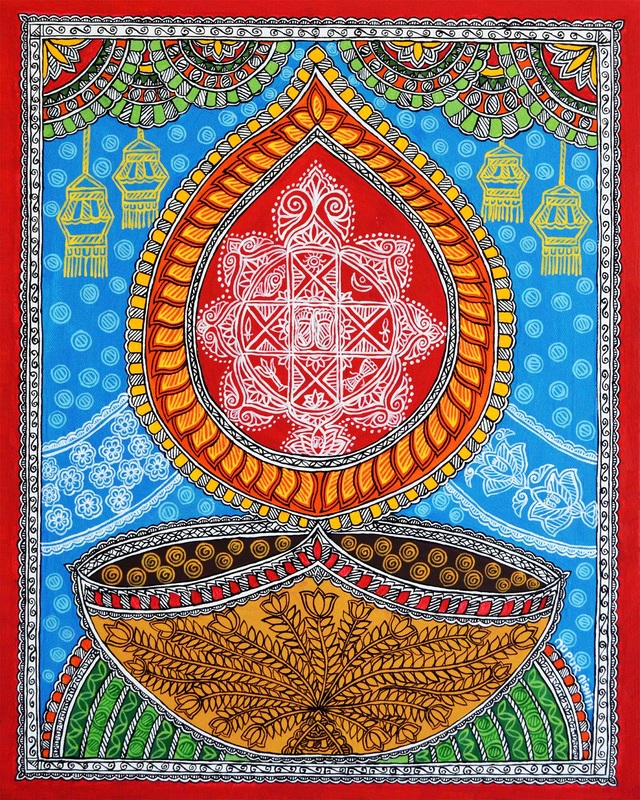 Nupur will be conducting a workshop for Children in the Mithila style of painting at the Diwali Fest NJ. The workshop is limited to 35 spots only on a first come basis. So, remember to sign up when you are at the festival!